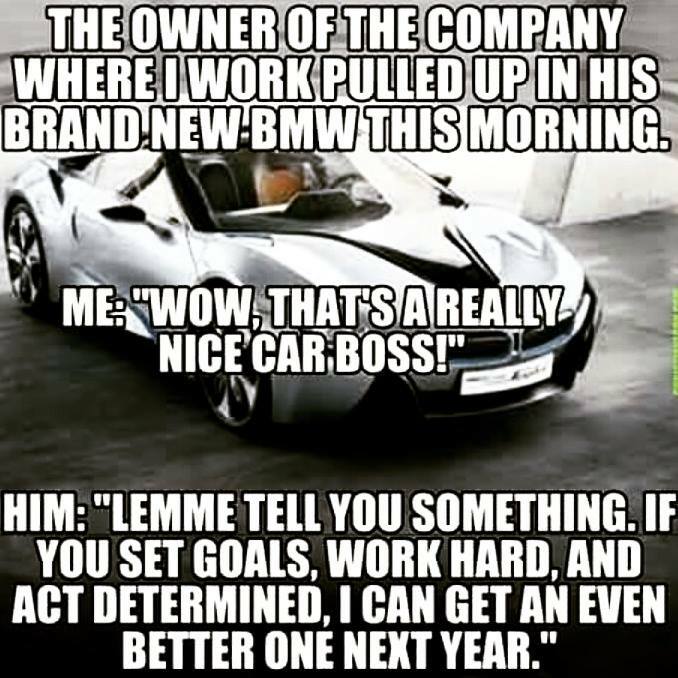 The owner of the company where I work pulled up in his brand new BMW this morning. Created about 3 yrs, 8 mths ago (August 20, 2015). Updated about 3 yrs, 8 mths ago (August 20, 2015).